Medicine balls are shipped within the Continental United States only. International shipping is not available. 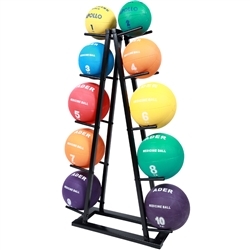 The Ader Kilogram Medicine Balls are a classic tool for fitness. Use the balls to develop strength and coordination. Medicine Balls add resistance to a variety of exercises and can be used to activate and strengthen core muscles that can be difficult to target during traditional training routines. Note: Colors and logo may vary.